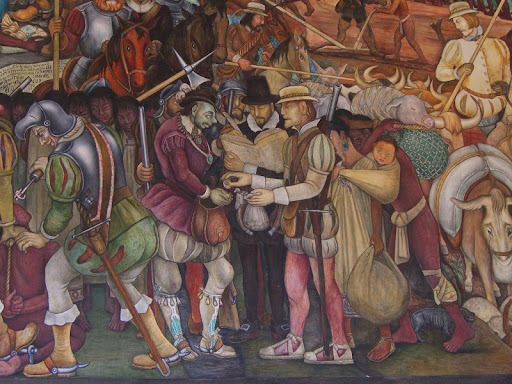 Any visit to Mexico City would not be complete without seeing the works of Diego Rivera and Frida Kahlo. Especially if your mother is a fan (mine is) and wouldn't forgive you if you didn't (she wouldn't). 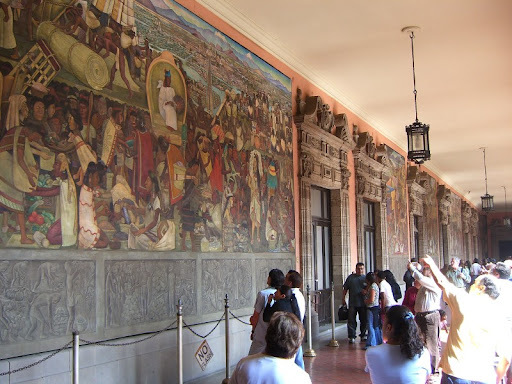 First stop on our agenda was the Palacio Nacional, where huge murals by Rivera line several of the second-floor courtyard walls. 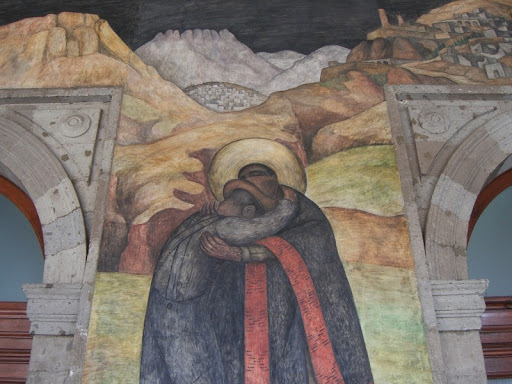 But the absolute best place to see Rivera murals in Mexico City is the Secretaria de Educación Publica, a public building just behind the Catedral Metropolitana. It took us well over an hour just to see everything. I tooks tons of photos, but I'll limit myself to just a few here. 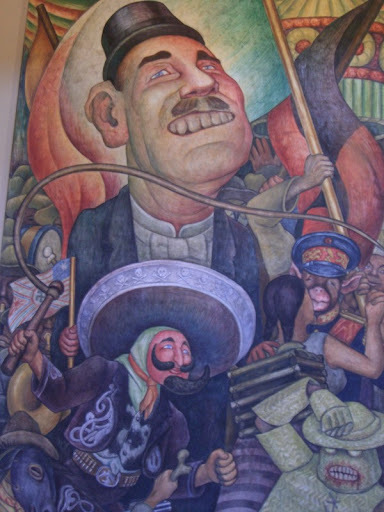 Ok, so this is mostly a Diego Rivera post, but we did see some Kahlo as well. 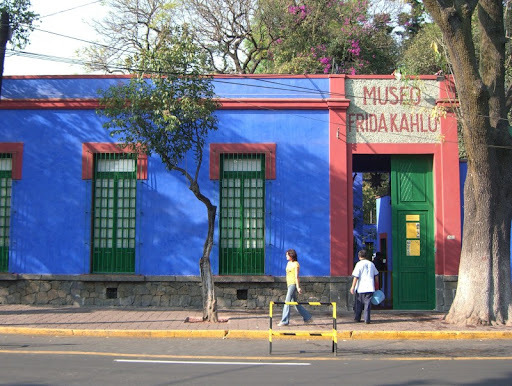 While visiting Coyoacán, we stopped at the the Museo Frida Kahlo, located in the house where Kahlo was born and lived with Rivera until her death. 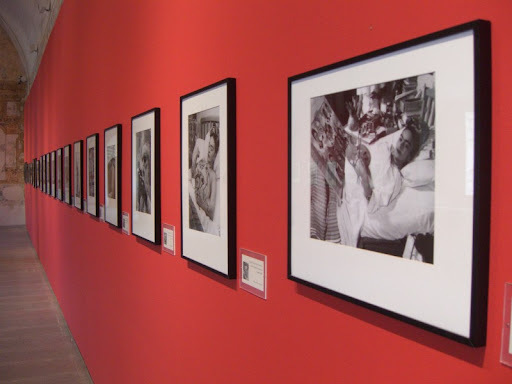 While it doesn't house any works by the pair, it is filled with many of their personal belongings. 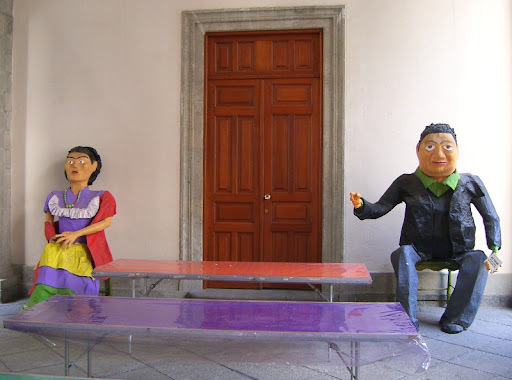 Unfortunately, no photographs were allowed inside the museum. 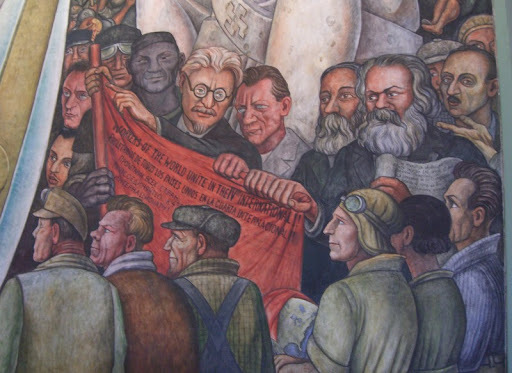 When we were in Oaxaca, the Oaxacan Cultural museum had a fascinating exhibition of photographic portraits by Juan Guzman of famous artists in Mexico, including Rivera and Kahlo. 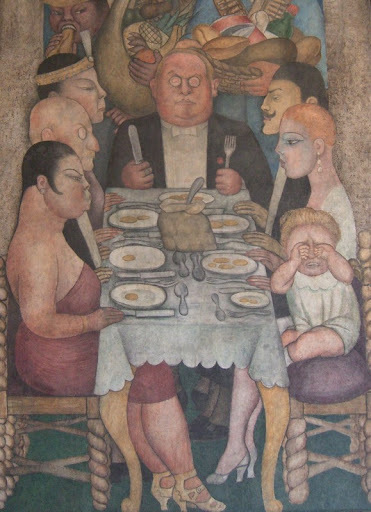 We saw a nice collection of works by both Rivera and Kahlo at the Dolores Olmeda musuem in Xochimilco, but again, no photographs were allowed. 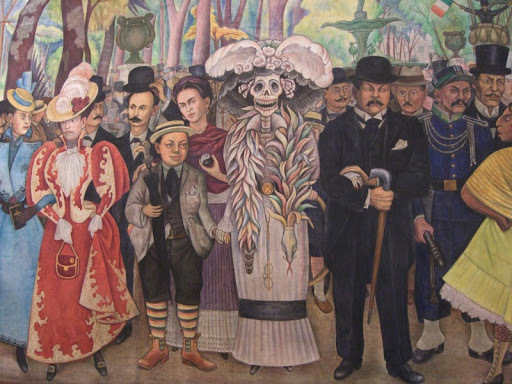 We also tried to see the famous "Las Dos Fridas" at the Museum of Modern Art in Chapultepec Parque, but it was not currently on display (the museum was well worth a visit, though). wow - this is great! 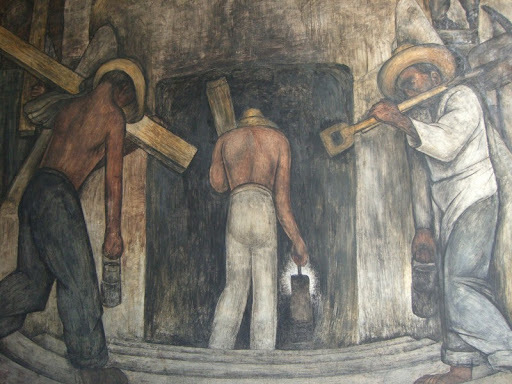 i wonder if you know any references of Diego Rivera/beer connection?